Error Message: The operation could not be performed because OLE DB provider “SQLNCLI11” for linked server “” was unable to begin a distributed transaction. We had an issue with Linked Server in one of our environment while executing a functionality. The error message is shown as below. OLE DB provider “SQLNCLI11” for linked server “” returned message “The transaction manager has disabled its support for remote/network transactions.”. The operation could not be performed because OLE DB provider “SQLNCLI11” for linked server “” was unable to begin a distributed transaction. While analyzing, we identified the reason for the error is actually an INSERT operation on a view.To be more clear, lets discuss the scenario with an example as below. Lets assume we have two servers ServerA and ServerB connected through linked server “LKSERVER”. 4. Try inserting data into Linked Server table through view. The insert operation is failing with the below error message. OLE DB provider “SQLNCLI11” for linked server “LKSERVER” returned message “The transaction manager has disabled its support for remote/network transactions.”. The operation could not be performed because OLE DB provider “SQLNCLI11” for linked server “LKSERVER” was unable to begin a distributed transaction. The error is due to the transaction created by the INSTEAD OF Trigger on the view. 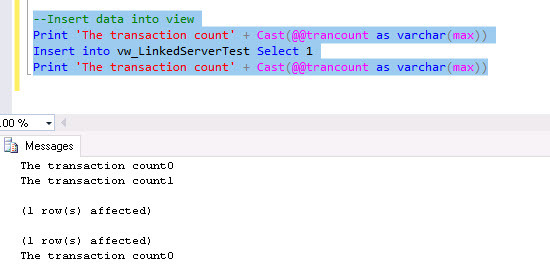 Though, we dont have any explicit transaction defined, the instead of trigger is creating an implicit transaction. 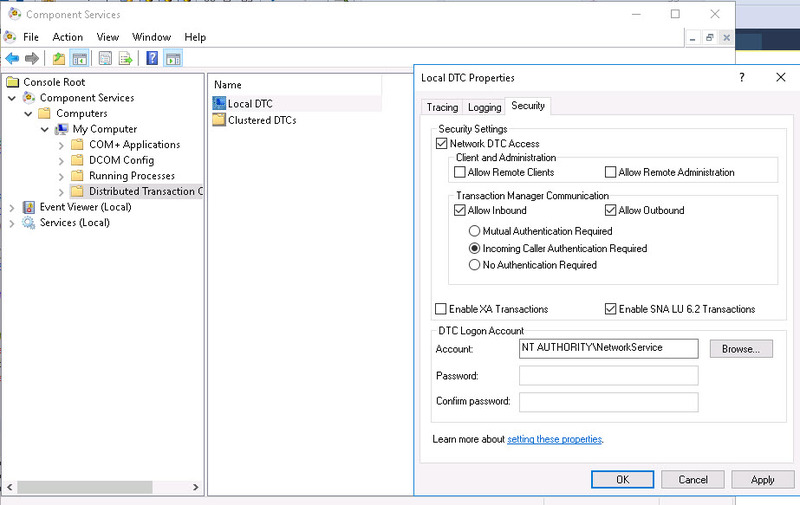 As the transaction scope is across linked server, it tries to open a distributed transaction in the trigger and it fails due to non access to network DTC access. Lets quickly confirm the cause of the issue by modifying the trigger code to get the transaction count. From the above, we can clearly see the transaction count is increasing as the trigger is getting executed. There are two options to solve the issue. a. 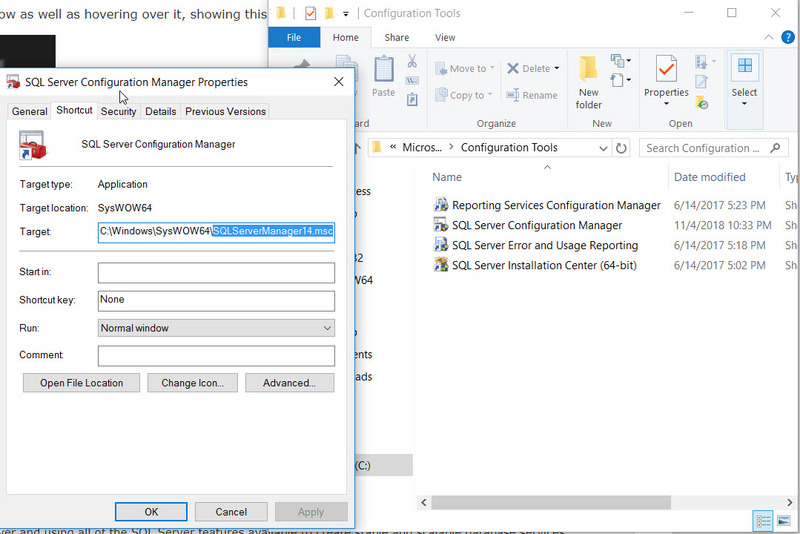 Open “Component Services” in both servers and change the security settings as below. b. 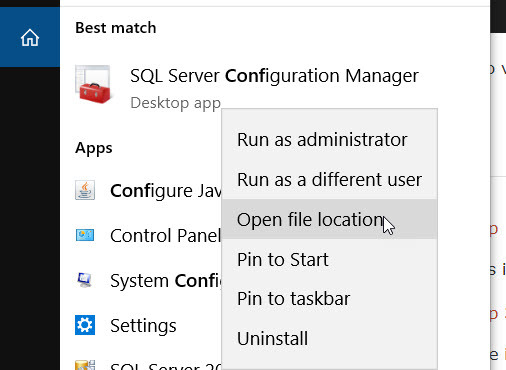 Once the settings are changed, try to execute the INSERT query. One drawback of this solution is a high dependency on MSDTC. Unless there are no alternatives, I would not suggest to use this method . Yes, As already discussed,INSTEAD OF trigger on the view is causing the issue. If we can drop the trigger on the view, it will not create a distributed transaction and the query will be executed successfully. Hope this post helps you for similar situations, please share your feedback/comments…. Filed under: Linked Server, OLE DB provider "SQLNCLI11" for linked server "" returned message "The transaction manager has disabled its support for remote/network transactions. ", The operation could not be performed because OLE DB provider "SQLNCLI11" for linked server "" was unable to begin a distributed transaction. Today, I got a very peculiar request from one of my colleague that he wants to put a lock on a table so that no other requestscan be served. The request was looking weird to me initially as most of us want to avoid locking/blocking scenarios in a system, but the request was looking for creating one. But Why? After asking many questions, I got his intention that he is looking for replicating a locking scenario in his local environment that ends up with a Timeout. The solution provided is simple but put a Schema modification lock(Sch-M) on his table. Schema modification lock will be acquired when a DDL statement is executed on the table. As Schema modification is not compatible with any other locks, it will prevent access to the locked object data. An example of the Sch-M lock is lock during index rebuild (Please note when used with ONLINE option, index rebuild will acquire Sch-M lock shortly at the end of the process). Select * From TestLOCK(NOLOCK)--NOLOCK has no impact on SCH-M locked object. Finally, I understood he is trying to put some code to handle the locking situation, but not the solution for the timeout. As he mentioned the issue happens ONLY when maintenance window is running, I believe this is something related to any maintenance operations like (rebuild index,update stats etc.). He can , later, better of find the actual issue and fix it like move the functionality out of the maintenance window!! !